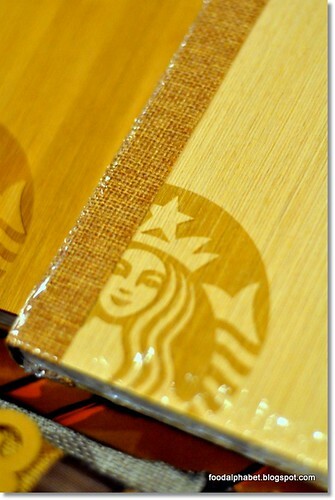 Win yourself a Starbucks 2012 Planner and more!!! It's the season of giving, the season of happiness and the season of hope. And I am so happy to be able to give you the chance to win yourself a Starbucks 2012 Planner and more!!! Like Starbucks Philippines on Facebook. Follow via Google Friend Connect (GFC), Please click of the right side bar "Join this site", and follow directions. @The Food Alphabet!! @friend1 @friend2 http://bit.ly/sL34Ga "
Be sure to tag The Food Alphabet and 2 of your friends on your Facebook entry to be a valid entry. Place your Facebook post URL on the comments section below with your Name and email for me to contact you when you win. Winners will be determined by Random. One person one entry one email only. There will be a total of 7 winners: 1 winner of Starbucks 2012 planner, 1 winner of Starbucks Christmas tumbler and 5 winners of 2 Starbucks GCs each. Giveaway starts Nov. 14 - Dec. 8, 2011. Winners will be announced a few days after. All prizes will be shipped to you at no cost to you. Ok so that's it! Simple right? So join now! 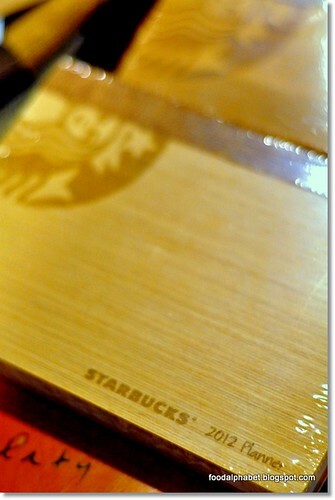 try your luck, if not you can always get a Starbucks 2012 planner with the sticker collection. Spread the news! Thanks for this giveaway contest! :) I'm collecting stickers but I still need over 10 more. Btw, joined your cool contest. Thanks much & Advance Merry Christmas! One fine Philly Cheese Steak!!! KFC BBQ Rods are back! Ultimate Taste Test 7.0 coming up! !